Above : the upper bar with the status indicators of the submarine, the current date and time acceleration. In the middle : the map. 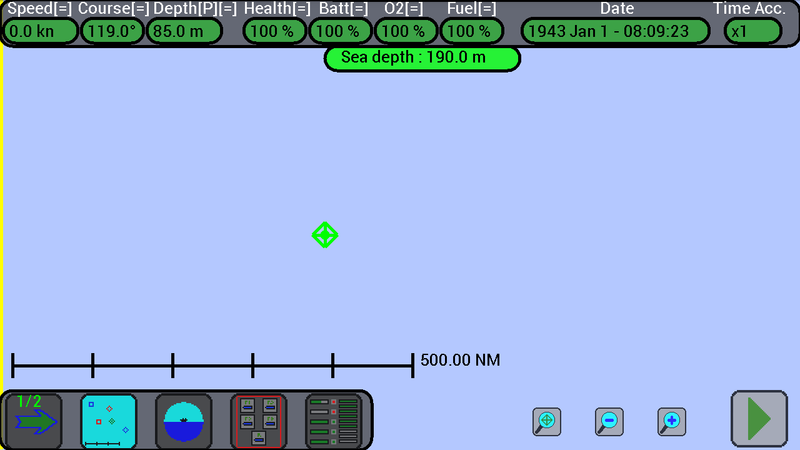 The bars at the top and bottom are always displayed in any screen, the middle part changes depending on whether you are viewing the map, the status of torpedoes, the 3D or other screens.